This beautifully rustic clock will look simply stunning hanging on a wall, in a large size with 12 photograph frames surrounding the frame. This picture perfect wall clock will ideal for framing your favourite photographs, each photo represents the hours. 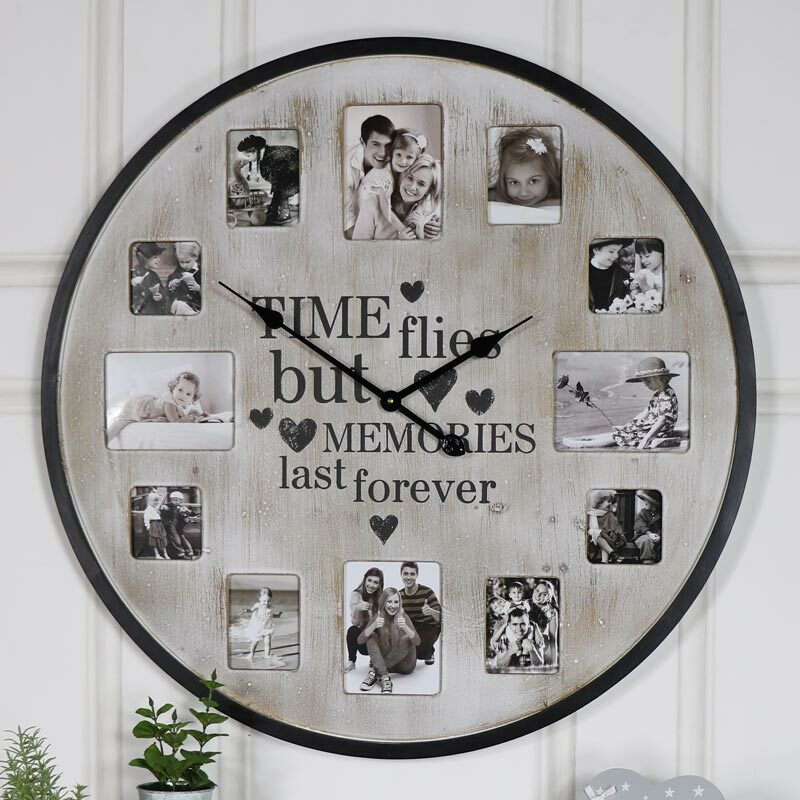 With a lovely sentiment printed in the centre, "Time flies but memories last forever". A great gift for weddings and Valentines Day or for a new home. Frame those treasured family photos of your favourite holidays and those candid moments caught on camera. 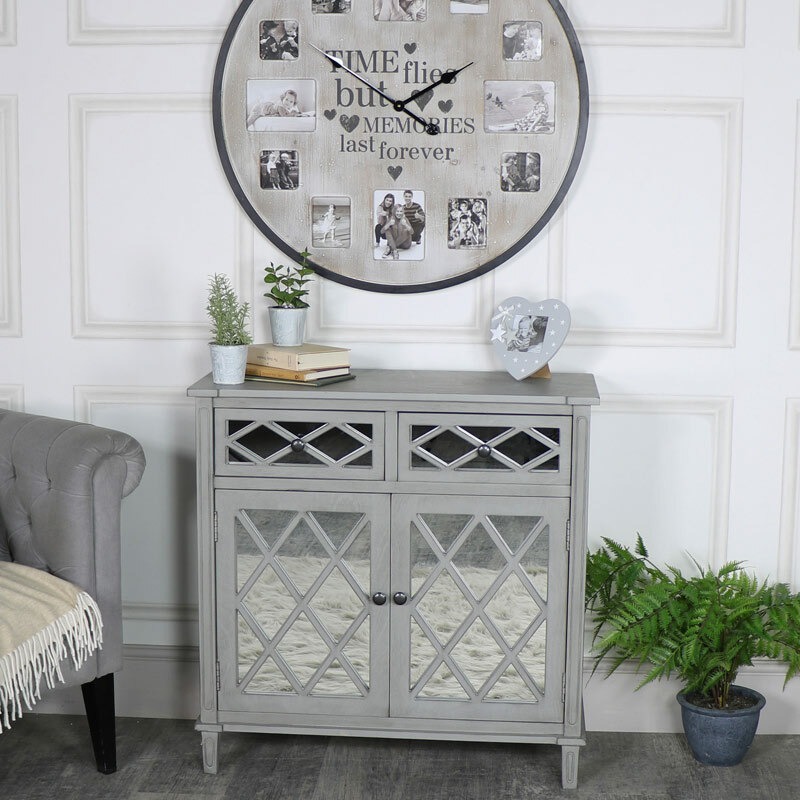 This beautifully rustic clock will look simply stunning hanging on a wall, in a large size with 12 photograph frames surrounding the frame. 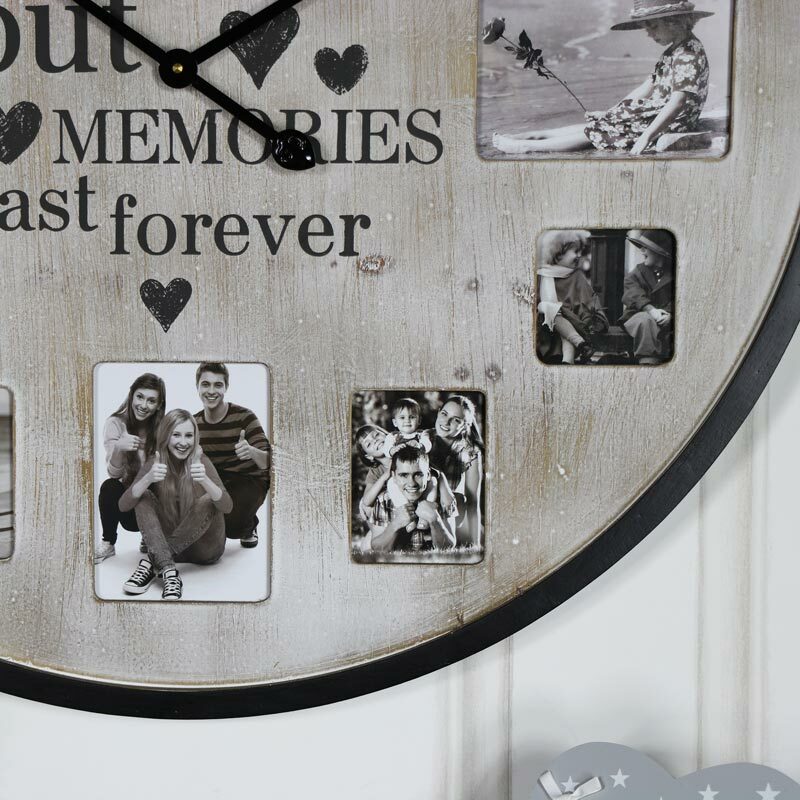 This picture perfect wall clock will ideal for framing your favourite photographs, each photo represents the hours. 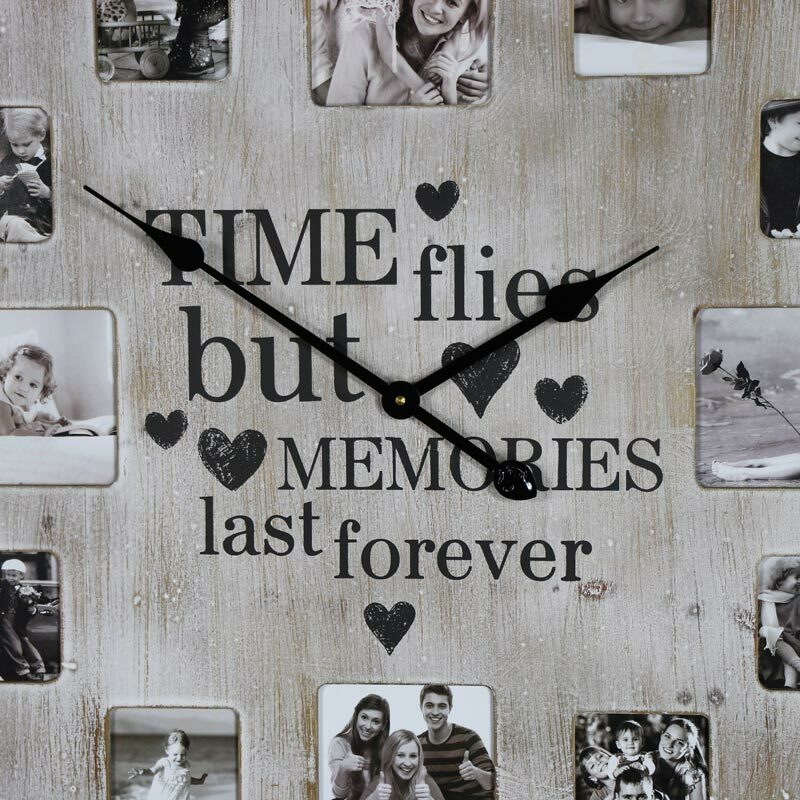 With a lovely sentiment printed in the centre, "Time flies but memories last forever". A great gift for weddings and Valentines Day or for a new home. Frame those treasured family photos of your favourite holidays and those candid moments caught on camera. 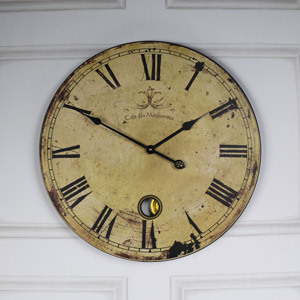 In a large size, made from wood in a distressed cream finish with black rim. The clock is easily wall mounted with a hook on the back. Takes x1 AA battery (not included). The 12 photo frames on this gorgeous clock allows you to create a pretty display. With three different size frames measuring at 8cm x 10.5cm, 8cm x 8cm, 15cm x 11cm, this is ideal for traditionally processed photos and your digital prints.